to the world. Colour is a silent language that we all react to based-on our learned responses. Our learned associations are critical contributing factors in the way we perceive and attach meanings to colours. Colour is subjective. Although we may not all see the same colour, within our own cultural group the emotional response is surprisingly common. Colour is a powerful and important communication tool tied to religious, cultural, political, and social influences. While there are commonalities in the meanings of colours around the world, they may also differ greatly between cultures. 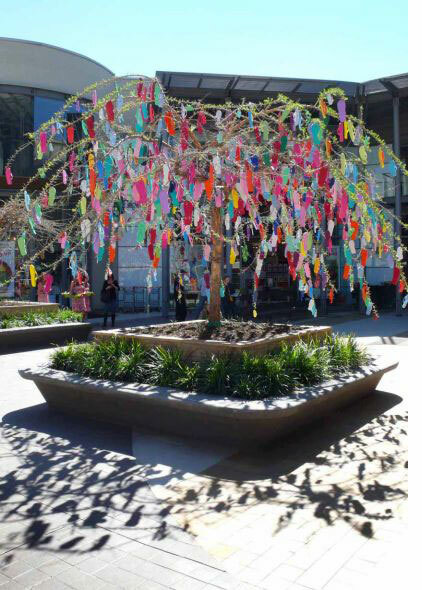 It is important to be aware that different cultures attach meaning to colour in different ways. The cultural bias for colour symbolism can be very powerful. In China they use white during funerals as they associate white with winter time in which nature is dead; where-as in Western cultures black is used. to the brand. As well as simply capturing an audience’s attention, colour can stimulate emotional responses, affect an individual’s perception, form attitudes and improve learning and persuasiveness. As a visual brand property, colour is highly influentual at every touchpoint from brandmark, signage, packaging and even the product itself. Want to know more about creating a brand to cross borders? As more and more brands expand globally the use of colour in branding has taken on new importance. When migrating a brand into any new market, it’s important to consider the cultural ramification of your brand’s colour palette and make informed brand decisions to ensure that you’re sending relevant brand messages to your new customers. Before launching a global brand, especially one on-line, it’s essential to consider colour meanings throughout the world. Brands that fail to take cultural values into consideration before entering the global market can invite disaster. When a Japanese brand unsuccessful tried to sell black scooters in India they discovered the colour black is considered inauspicious, not a positive virtue for their product. Mothers across India were telling their sons they couldn’t buy a scooter because they associated black with death. As soon as the brand introduced a new range of coloured scooters sales picked-up (Surya Vanka, University of Illinois). In another case a Canadian airline brand changed the colours of its fleet, unaware that their new brand colour combination was associated with bad luck in certain South Asian cultures. They ended up switched back to their original colours – a costly exercise and diversion for the business. A US chewing gum brand found their product wasn’t selling very well in China. After changing their packaging from green to pink, symbolizing good luck in China, sales rose. 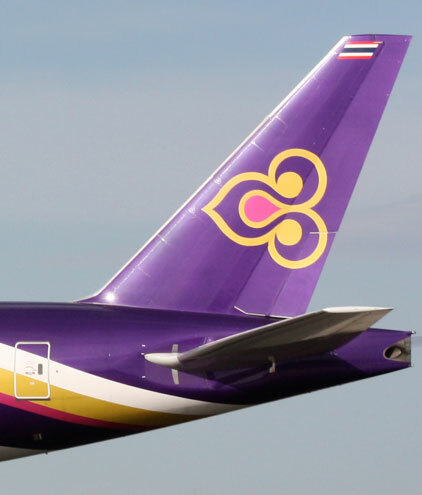 In Thailand purple is the colour of mourning, yet the Thai Airways chose it as their primary brand colour. At first glance this seems like a mistake for the domestic market, but as the Thai Airways business is heavily weighted to the international market, their brand will take on the western meaning of purple and their brand will be associated with royalty, luxury, wealth and comfort. Colour shapes the way we think in an immediate and emotional way. In a society faced with information overload, colour communicates in a simply and effectively. Colour has tremendous cultural significance and ignoring them could mean your brand offends an entire country. It is important that you do your research and know your consumer. Whatever colour you ultimately choose to represent your brand, make sure they accurately convey your brand message. Today many people around the world have access to information they never had before. This globalization means that customs, traditions and ideas are becoming increasingly universal. Colours and symbols are more widely accepted cross-culturally, especially by younger consumers. For instance, in China, where wedding dresses were traditionally red rather than white as they are in western cultures, today, Chinese brides predominantly wear traditional white western style wedding dresses with red jackets. From a brand perspective, we are watching the world of colour evolve and revolutionize. to the right people where-ever they are in the world. If you’d like to talk to some people who spend way too much of their life eating, sleeping, thinking about the role of colour in brands give us a call. Clarify your critical brand components; Product/service expertise, Core customer, Competitors & Compelling point of difference. Identify your current brand challenges and opportunities. Chart the best way to overcoming those challenges / capture the business value within those opportunities. Wow, what a fascinating article on colour and design for brand. I wonder how many brand managers spend the time to consider these issues before they launch their brands into new cultures and markets. Great post and an excellent reminder of the need to turn off our cultural cruise control. That’s a sensational article, how informative and interesting. You can only imagine how many brands would’ve faced this dilemma. Interesting point also about Thai Airways and their rationale.